Amazon Music Is Going On the Attack With a Major Advertising Blitz - Pop It Records - NEW MUSIC EVERYDAY! Is Alexa Amazon’s secret weapon for taking on Spotify and Apple Music? In the global streaming music market, Spotify reigns supreme. The company now has well over 83 million paying subscribers — and more than 180 million monthly average users. Yet, with 50 million subscribers, Apple Music currently controls key markets – the US, Canada, and Japan. Apple CEO Tim Cook says Apple Music is beating Spotify in terms of total paying subs in all three markets, and our sources have separately confirmed this for the US. Not content with third place, Amazon reportedly has major plans set in place. 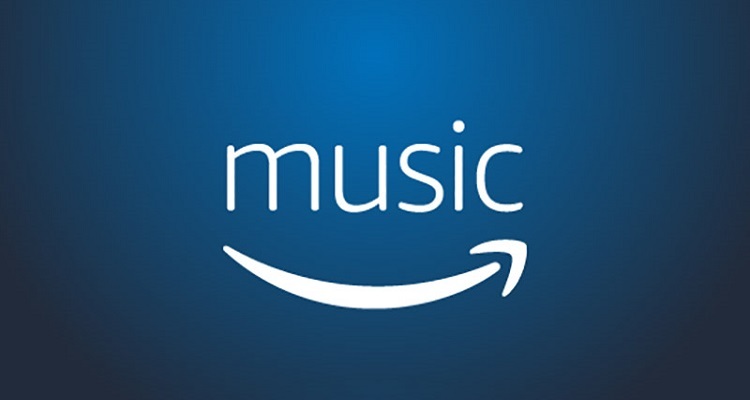 According to a report from Bloomberg’s Lucas Shaw, music has become the top priority for Amazon. The company will mount a major national advertising campaign for its streaming music service. Ads will reportedly feature songs from Ariana Grande, Kendrick Lamar, and… Queen. Across three markets – the US, UK, and Germany – the company’s advertising campaign will extend to billboards, online video, and radio. Speaking with Bloomberg, Steve Bloom, Amazon’s Head of Music, confirmed that the campaign push comes alongside surging popularity for the company’s Echo speakers and smart assistant, Alexa. Listening hours have doubled, and most users now ask Alexa to play music. Amazon remains fairly secretive when it comes to publishing key metrics. So, it’s difficult to pinpoint where exactly the company stands in terms of subscriptions. According to the company, “tens of millions of people” now use Prime Music and Music Unlimited. In a report last October, Midia Research claimed that Amazon has 16 million paid subscribers between both services. But that hasn’t been independently verified. In terms of Alexa-enabled smart speakers, we have a better idea of how many units the company has shipped. At the end of 2017, research firm Canalys calculated that Amazon had a global smart speaker install base of over 25 million. This year, global smart speaker shipments are estimated to reach 100 million. The e-commerce giant is set to hold above a 50% market share. With the HomePod, Apple’s Siri doesn’t have a substantial market share, standing currently at 5%. And Spotify doesn’t have a smart speaker available – yet. Those disparities will likely become exacerbated in the future. 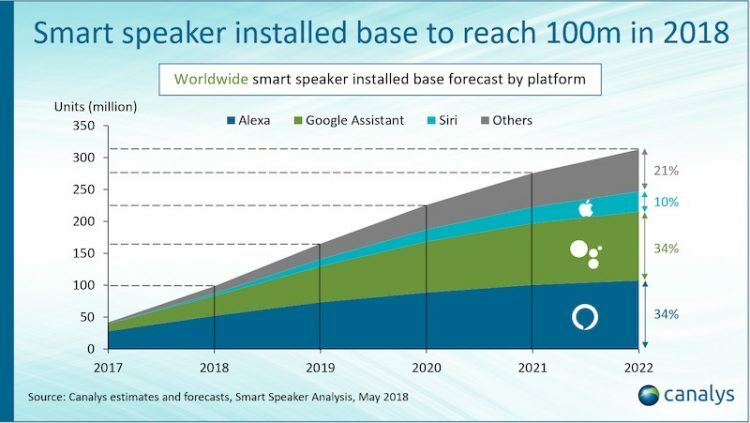 At the end of 2022, Canalys estimates the global smart speaker install base will likely reach 300 million. Apple is projected to have just a 10% share. In 2022, Canalys has projected that Google will remain on par with Amazon, holding a 34% market share. Accordingly, a strong push for its streaming music service makes sense for Amazon. Amazon also wants a slice of the major streaming music revenue pie. And, not content with the share they already have, major labels reportedly want more. The company’s major advertising push comes during a very curious time in the music industry. Citigroup recently calculated that the music industry generated $43 billion in sales last year. Major tech companies (YouTube, Spotify, Apple Music), radio stations, and record labels kept the vast majority. Artists earned under $5 billion, a figure music industry executives and organizations have struggled to spin. Now, major labels “are looking to Amazon…to counter Apple and Spotify,” writes Shaw. If the company, along with YouTube and Pandora, can “sign enough customers,” labels will enjoy far more leverage in negotiations with Apple and Spotify. To that end, labels have allowed the e-commerce giant to offer a lower-priced $3.99 streaming music subscription. Yet, one question remains. Will the strategy work?